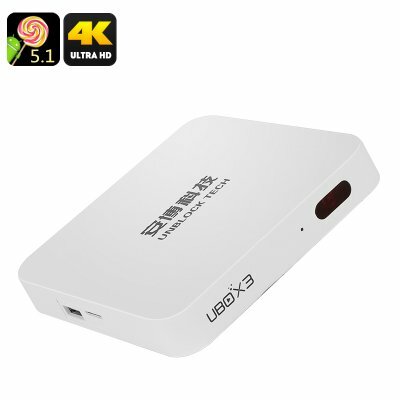 Successfully Added S900 Pro TV Box - Free Live TV, Android 5.1, AllWinner CPU, 4Kx2K, Wi-Fi, IR Control, 2x USB, Airplay to your Shopping Cart. Packed with around 700 free channels to enjoy right out of the box the S900 Pro TV Box is a cut above other TV boxes on the market. Watch free with access to channels like HBO, Fox, History, National Geographic, BBC News, CNBC, Sky News, Nickelodeon and many more. Running on an Android 5.1 operating system you have access to a wide range of other media hubs such as Netflix, Hulu, YouTube and many more. An efficient quad core AllWinner H3 CPU and Mali 400MP GPU brings support for 4K video. With powerful video decoding built in, this TV box can handle highly compressed files so you can download and stream high resolution films and shows faster than ever without maxing out your bandwidth. You don't even need a spare network port as the S900 Pro has two powerful Wi-Fi antennas letting you connect wirelessly to your network. This means you can place the TV Box in just about any corner of your home and still enjoy a great network connection over Wi-Fi. Sporting 2USB ports, you can hook up all kinds of peripherals, keyboards, games pads, video cameras and more will enhance this TV box turning it into a media hub. With these in place you can make for video calls, work from home, surf the web and play games on the S900 Pro allowing it to meet all the family's needs by provide countless hours of fun and entertainment.